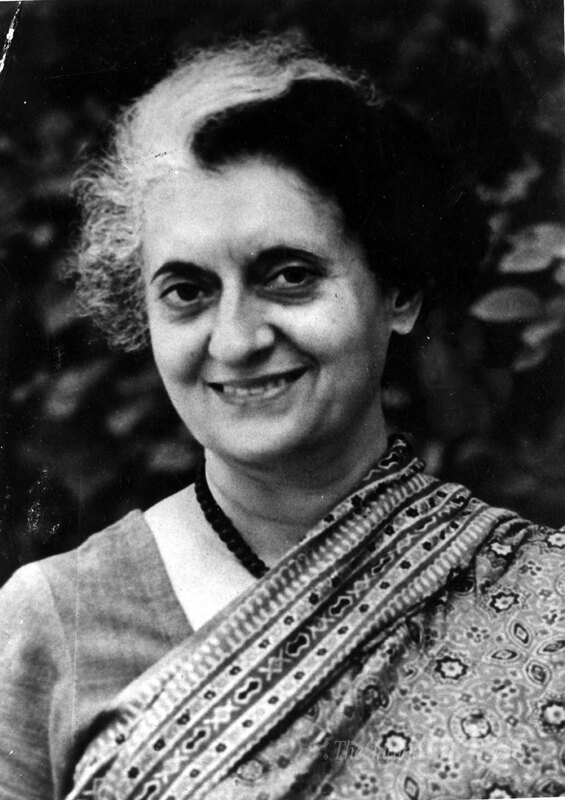 Born to Kamala and Jawaharlal Nehru (India’s first Prime Minister), Indira Gandhi (19 November 1917—31 October 1984) was elected the President of the Congress party in 1959 and became the Minister of Information and Broadcasting in the cabinet of Lal Bahadur Shastri, the second Prime Minister of India. 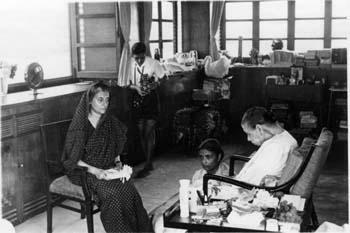 She went on to become India’s third and the only female Prime Minister in 1966. She served two terms as the Prime Minister—from January 1966 to March 1977 and from January 1980 till her assassination on 31 October 1984. 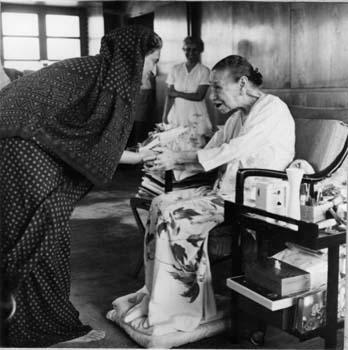 As 19 November 2017 would mark the Birth Centenary of Indira Gandhi, Overman Foundation takes the opportunity to publish a set of her photographs with the Mother of Sri Aurobindo Ashram—with whom Mrs. Gandhi had a special bond—in its website as a homage to the great leader that she was. 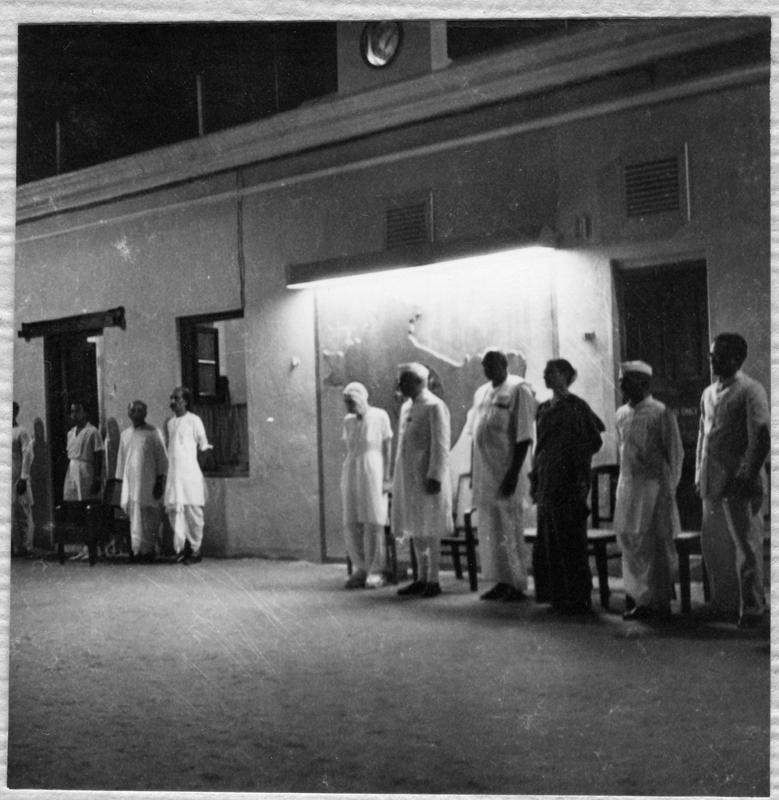 The following photographs were taken on 4 October 1955 when Indira Gandhi had visited Pondicherry for the first time with her father and the first Prime Minister of India, Pandit Jawaharlal Nehru. 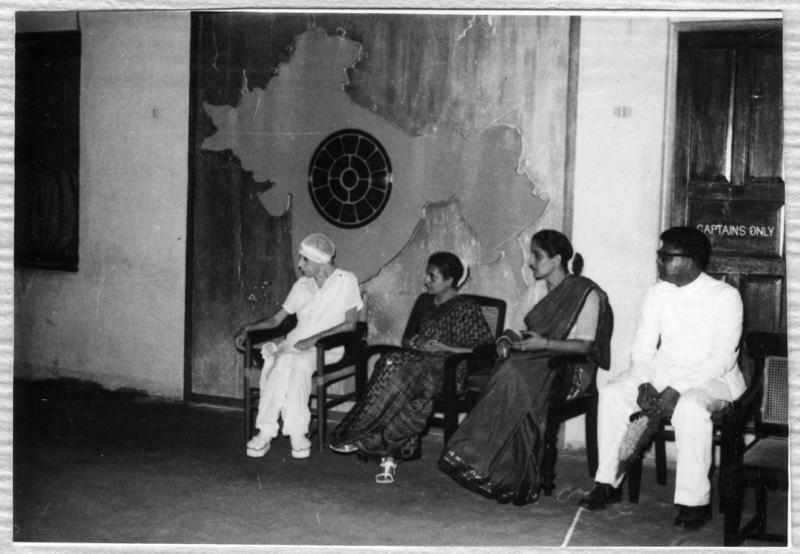 She was accompanied by Lal Bahadur Shastri and Kumaraswami Kamraj, the erstwhile Chief Minister of Tamil Nadu. 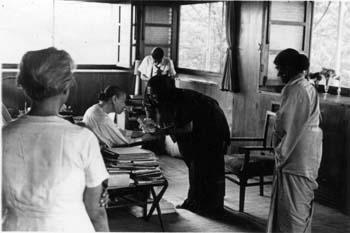 This was Indira Gandhi’s first visit to Sri Aurobindo Ashram, Pondicherry. 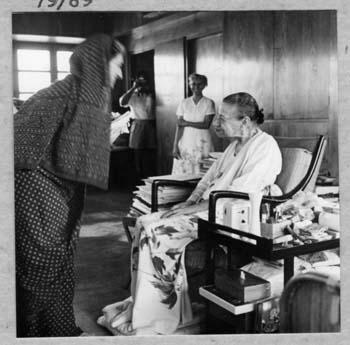 The following photographs were taken on 6 October 1969 when Indira Gandhi had visited the Mother with Nandini Satpathy, the erstwhile Chief Minister of Orissa who was also an ardent devotee of the Mother. 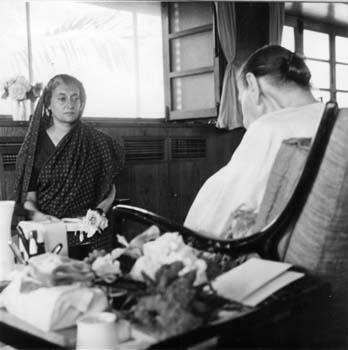 ‘The Mother: … the other day, I gave Indira four messages. The Mother: Yes. I didn’t speak; she stayed here for fifteen minutes without saying a word. Then N.S. [Nandini Satpathy] came in and she asked me a few questions. But these (Mother points to the notes) I had received before: one after another I received them. “Since long it was the habit to govern through division and opposition. The Pondicherry radio asked me for a message to be put up in their office, so I gave them this – and they put it up! “In September 1967 Laljibhai Hindocha asked me to go to Delhi for some work of his sugar factory with the Government of India. 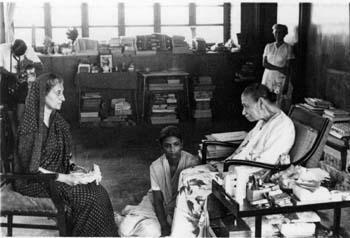 I wrote to Mother about it, adding that at Delhi I could also do some work of Sri Aurobindo Society. It would take four five days and I wrote to Mother asking for her ‘orders’. 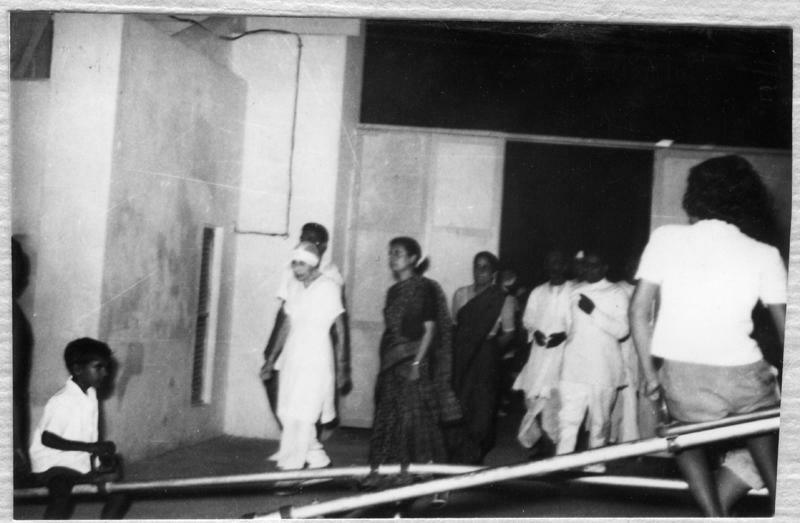 Mother replied, ‘Go there with my blessings’, and added that perhaps I could go to Indira Gandhi to invite her for laying the foundation stone of Auroville on 28th February 1968 and that I should speak to Nava about it. 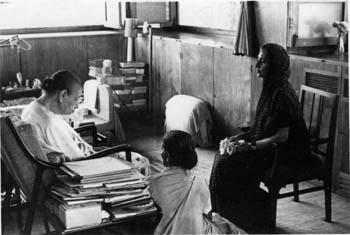 Nandini Satpaty was contacted by Nava and she took me to Indira Gandhi at her residence. 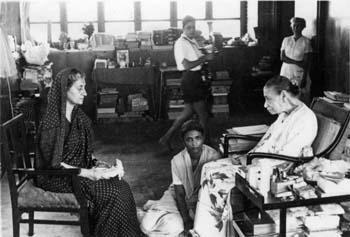 Indiraji was courteous and attentive, but she doubted the possibility of her visit. 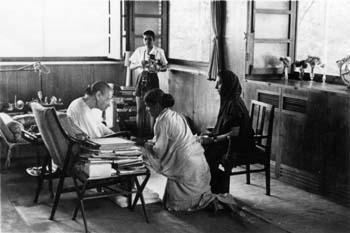 Coming out, Nandini spoke to Seshan, Indira’s Private Secretary, and he advised that I should write the request and the reply will be given. When I went alone with my letter of a few lines, the usual security paraphernalia was active and there was difficulty in seeing even the Private Secretary. I was asked to go next morning to the Prime Minister’s office to get the reply. In the Reception lounge there was a crowd and some confusion. Somehow I was sent upstairs earlier than expected. Some persons were already sitting with Seshan. 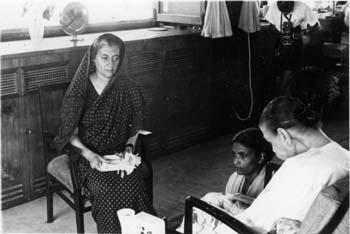 While waiting, I could hear that some border skirmishes had taken place and Indira was attending to the problem. Seshan said that she would not be able to go due to the Budget presentation at that time and that she would write to Mother. Well, Indira Gandhi’s letter never came. And although in the beginning I had thought the Budget difficulty to be genuine, it did not turn out to be so, for 1968 being a leap year, the Budget was presented on 29th and not 28th. 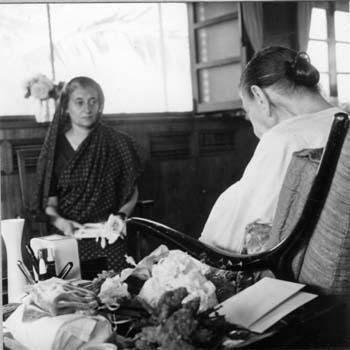 During the Pakistan-Bangladesh fighting a message came from Nandini Satpaty that Indira Gandhi wanted Mother’s advice about her course of action. India was helping Bangladesh and the USA Government was not pleased. The matter went to Mother through me in the absence of Nava, the usual contact person of Nandini. Once an urgent message came from Tathagata, son of Nandini Satpaty and an ex-student of the Ashram school, just a day prior to the intended visit of Indira Gandhi to Calcutta. 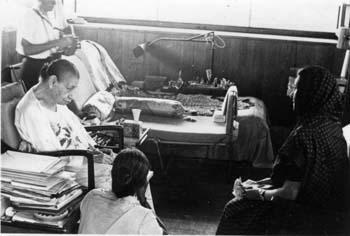 He had seen her in a dream being fatally attacked at Calcutta and prayed for Mother’s intervention. This message also was taken by me to Mother. She concentrated for quite some time and said that she did not see any such danger. 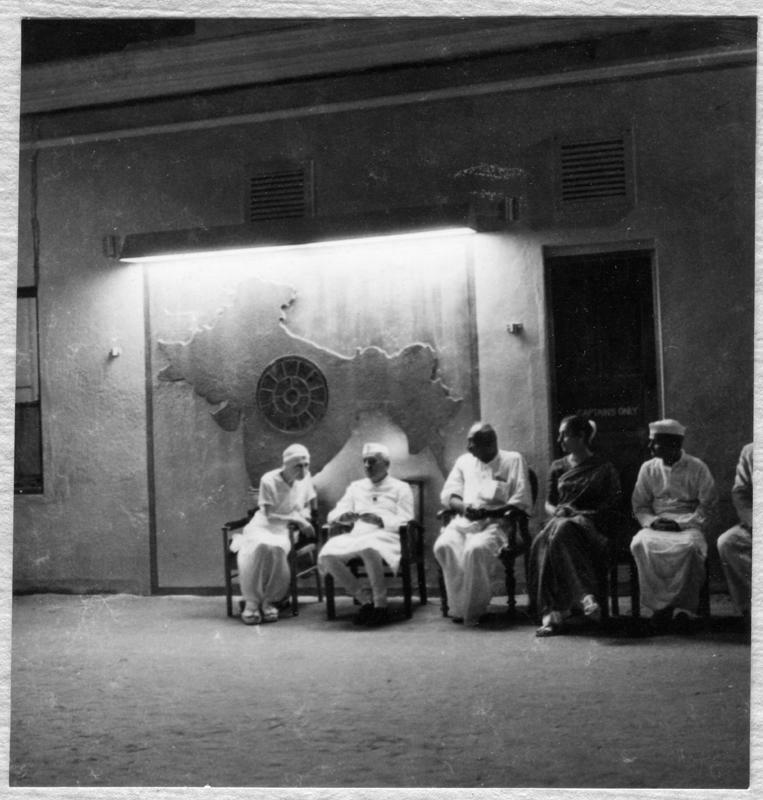 In fact nothing untoward happened during the Calcutta visit. I do not remember the occasion of it, but once Mother said after the parting of Indira Gandhi from Nandini Satpaty, “Now Nandini is not there and we do not have Indira’s ears.” I remember the expression of concern on Mother’s face when she uttered these words. “The Supreme wants a great and free India. It is in an ardent faith that there is salvation. In the last analysis, it is the Supreme Lord who does everything. 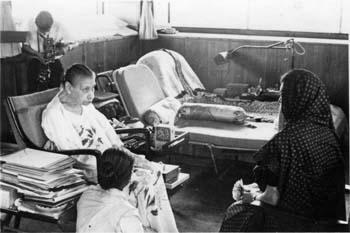 and asked her what Mother meant by “a great and free India”, and also asked for her consent for publication in Sri Aurobindo’s Action. 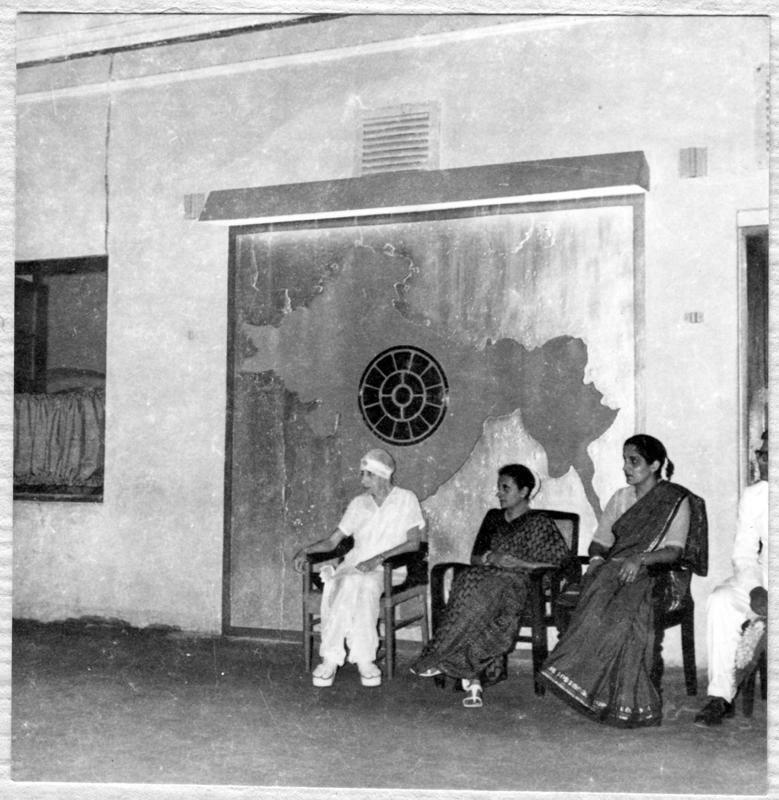 “Being close to the Mother, you would be in a better position to know what she meant by a great and free India. I would say it meant that the Indian people should be more alive to their rich philosophical and cultural heritage and try to observe these high ideals in their daily life. This would strengthen us individually and help us to build a strong nation which would continue our long and ancient tradition of tolerance. 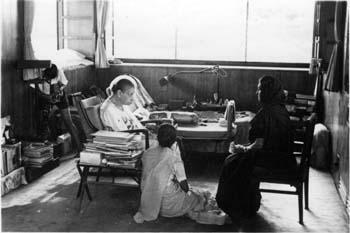 •	Mother: I have received a letter from Indira. Through these critical months I have thought constantly of you. I can find no words with which to express my gratitude for your support. Your blessings are a great source of strength. Our difficulties are not over…. The American administration is most upset that its calculations were so completely wrong, and they will use their power to try to humble us and specially to create division between Bangla Desh and ourselves. I think our nation has taken a step towards maturity. Yet there are many who look only to today. If India is to be great we must improve the quality of the minds of our people. I know that this is your desire. In my humble way I am trying to do what I can. India must be proud of your leadership. Let the country take its true place in the world for showing the way towards the supreme Truth. The Mother: This is what I sent to Indira. You can read it to me, I don’t even remember what I put. Satprem: What was the occasion? Mother: She wrote me a very nice letter to express her gratitude, and she asked if I had something to tell her, so that’s what I replied. It seems she speaks in earnest about India’s spiritual mission. She’s worried about America. She wants to send people to America to try to create a harmonious atmosphere. Thanks to Over-mind foundation. 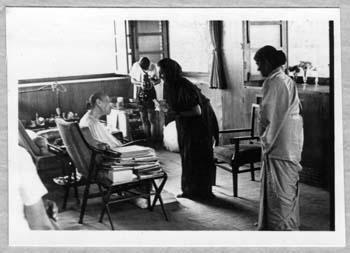 I offer my humble gratitude to Taradi for preservation of the most valuable photographs of the Mother with Pandit Jawaharlal Nehru, Sm. 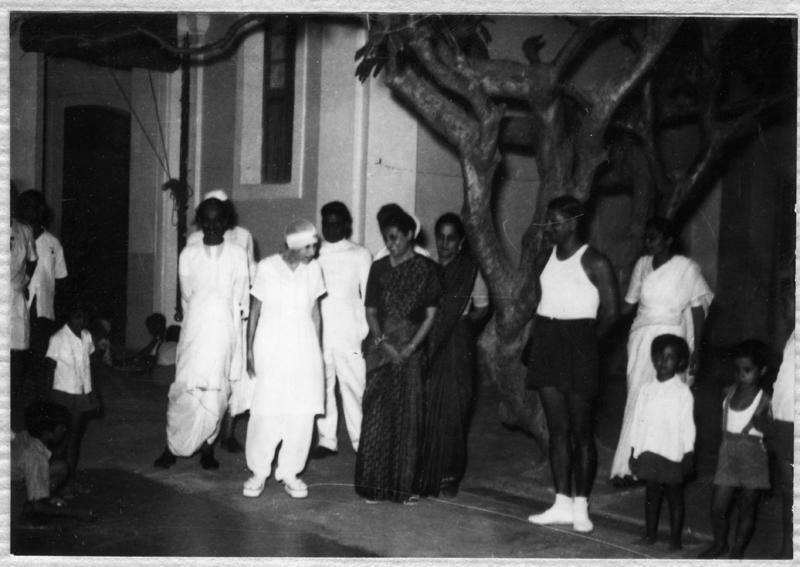 Indira Gandhi with others. 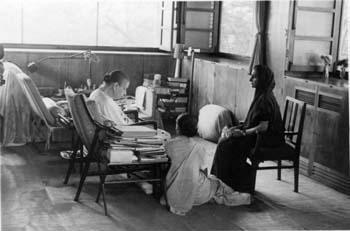 She was kind enough to give me some of the photographs of the Mother with Indira-ji for publication. 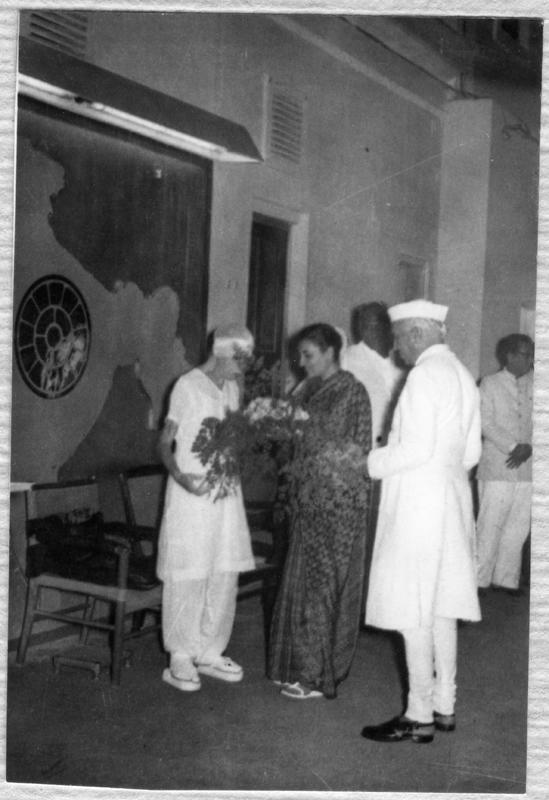 One of the Photographs was in Tinmurthi Bhawan on handing over the ornaments of the Mother by Chacha-ji Surendranath Jauhar to Pandirt Nehru during Chinese war. 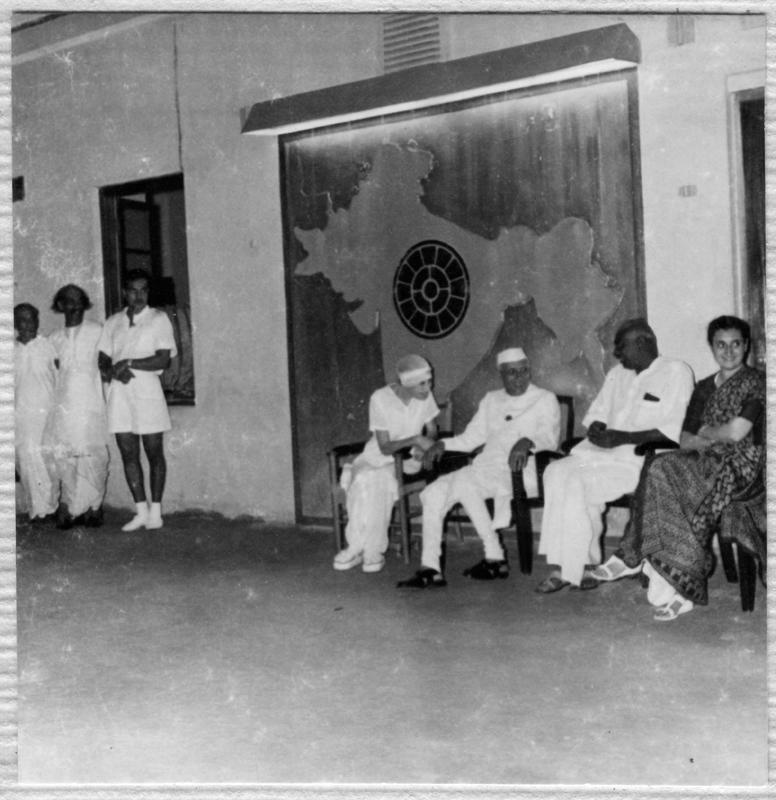 Thanks to Anurag for forwarding more rare photographs. I am profoundly grieved at the passing away of the Mother. It was rather a privilege to know such a being and to have her in our midst for so many years. May her words continue to give sustenance to her disciples and others. The Mother was a dynamic, radiant personality with tremendous force of character and extraordinary spiritual attainments. 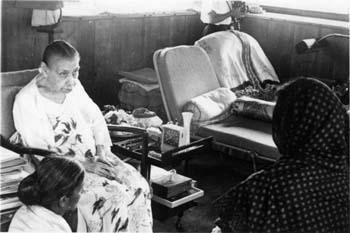 Yet she never lost her sound practical wisdom which concerned itself with the running of the Ashram, the welfare of society, the founding and development of Auroville and any scheme which would promote the ideals expressed by Sri Aurobindo. She was young in spirit, modern in mind but most expressive was her abiding faith in the spiritual greatness of India and the role which India could play in giving new light to mankind. Thanks for this compilation. 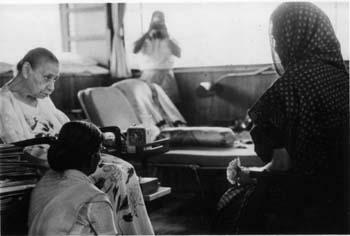 It is worth noting that after the Mother’s withdrawal in 1973, Indira Gandhi visited the Ashram sometime in 1974 or 1975 and stayed a night there, took her lunch at the Ashram Dining Room and gave a brief but much appreciated speech to the inmates at the Ashram Sports Ground. Nolini’da distributed the text of the speech as a special insertion in the issues of the Bulletin. Her closing words were “I know you have a role to play and that you will rise on the occasion magnificently”. 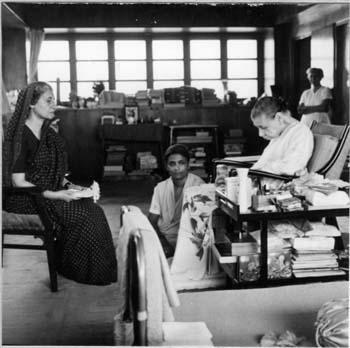 Besides Mother, she had also cultivated contacts with Huta – one of the close disciples of the Mother – and invited her at her residence in Delhi. She was also in touch with Nolini Kanta and his son Samir Kanta Gupta. And of course, she drew upon many services of Kireet Joshi. That would make a chapter in itself. 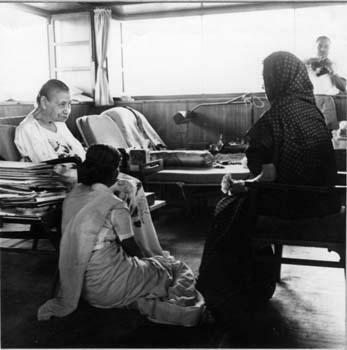 Udar was also in touch with her and he has written / narrated almost unknown details of her early term as the Prime Minister of India – how at Udar’s advice she came to see the Mother privately and only after meeting the Mother she emerged (or chose to emerge) as a dynamic political leader. 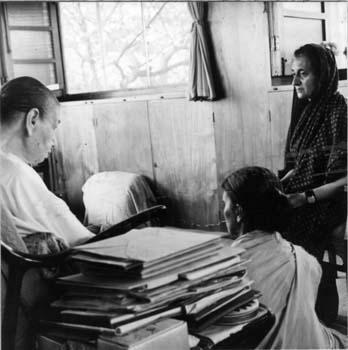 Satprem also notes in his diary that when Indira Gandhi learned that he was in Delhi (probably through Kireet Joshi), she invited him to meet her and asked all her family including Rajiv and Sonia to be present and meet Satprem. 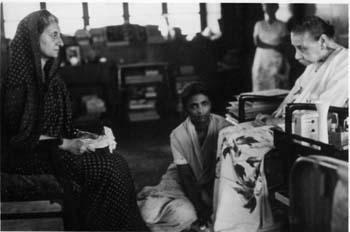 Then there is Auroville – how she played a critical role in the affairs of Auroville which eventually resulted in the Auroville Foundation Act, 1988 which brought about a lasting collaboration and support of the Government of India to Auroville. There is a lot of significance to this collaboration in context of India’s future as well as Auroville. 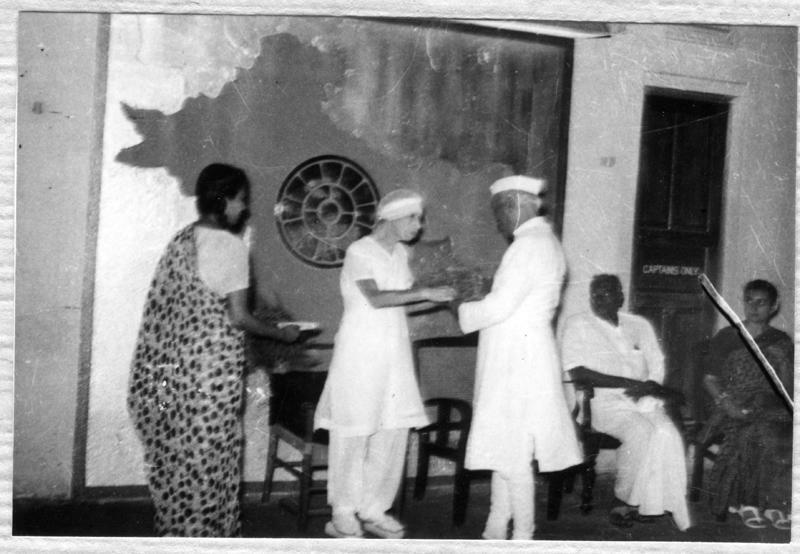 in 1975,she visited sports ground, dada took her around basketball courts to track and field events, after a march past with Bande Mataram sung after 2nd dec, when it was sung by all participants for the first time , she walked very fast , swimming pool, football grounds, then she saw an exhibition in the school , new hall , science experiments and gadgets made by students,later she had dinner in the ashram,after meditating in Mother’s and Sri Aurobindo’s room, with some seniors in Dyumanbhai’s room ,and slept in Pavitrada’s office,where an attached bathroom was made by Abhayda for her..on the terrace ,she left after 7., was fortunate to be present in the ashram that night on duty with 25 boys selected by Monada to stay in the main building till she left..